I’m not having a Christmas tree this year. 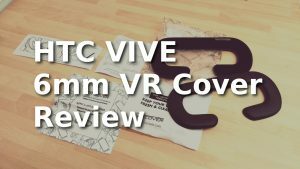 The fact is, the only space I have to put one is inside my Vive room-scale space and that’s not going to happen 😉 Developer Anton to the rescue with the H3VR Christmas Advent Calendar! This month, Hotdogs Horseshoes & Hand-Grenades is being updated every day up to Christmas with an advent calendar box containing new goodies to add to the item spawner. The H3VR Christmas advent calendar is filled with new guns and other stuff that goes boom and/or jingle. 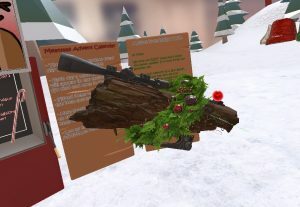 To access the advent calendar, make sure H3VR is up-to-date in Steam. Then, in game, hit the “Meatmas” button on the left of the selection board. You’ll find yourself in a snowy Christmas environment. Christmas candy-canes and festive hot-dogs abound. In any case, there’s no escape so don’t bother fighting it. Instead, enjoy the Christmas gifts on offer. Each gift or set of gifts is found inside an advent box. Simply find the day’s advent numbered box and pull the lever down on the right. To funky music and confetti, the front of the box slides up. Inside is a description of the gifts you’ve received and the gifts themselves. Note that these gifts are also now available from the item spawner. 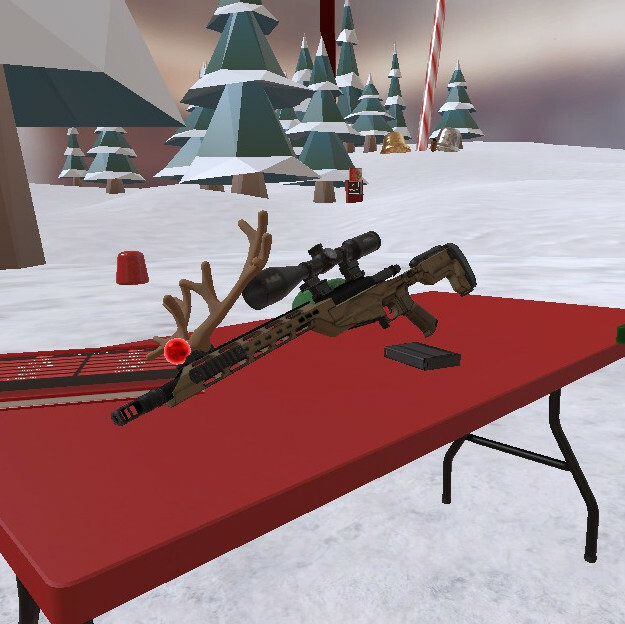 I was a bit late to the game and joined the H3VR Christmas calendar a bit late at day 10. This meant a bit of a binge of opening advent boxes. The first few are easy to find. The others you need to roam around to spot. It’s not terribly hard to find them, the confines of the snow-globe aren’t huge. There’s no cheating though, the advent boxes only appear on the day of their update. You’ll notice Steam updates every day. 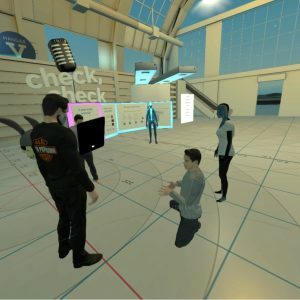 If you can’t find a day’s box, ensure H3VR has updated in Steam. Such a stream of new treats every day is everything an early-access title should be and much more. New toys in the box. My tricked-out virtual yule log. My new favourite toy so far is definitely the Tactical Melee Yule Log. A classic yuletide log, it has a wreath of holly wrapped around it. It also has several Picatinny rails. Just remember to use tall rail adapters for the scope or yule [sorry] have an eye-full of red nose. H3VR itself is in early access, you can find it in the VR section on Steam.